Recent news reveals that the all New Motorla MILESTONE will most probably made its debut in UK on December 7th.Motorla MILESTONE The phone will be available with a price tag of £439.99 ($731) including tax .The handset is already available in Germany on Vodafone and O2 and you could order a SIM-free handset from them for around €500 ($750). Motorla MILESTONE is housed with 3.7-inch capacitive touchscreen, slide-out QWERTY keyboard, 5-megapixel autofocus camera with LED flash.The New Motorla MILESTONE comes with wireless connectivity includes HSDPA/HSUPA, WiFi b/g and Bluetooth 2.0. Taiwanese manufacturer, MSI recently announced the introduction of their new notebook called MSI X-Slim X430 uses AMD’s latest second-generation Ultra-thin Platform with dual-core processors.The new X-Slim X430 notebook runs on Microsoft Windows 7 Home Premium operating system. It is an ultra-thin laptop with 1-inch thick notebook. 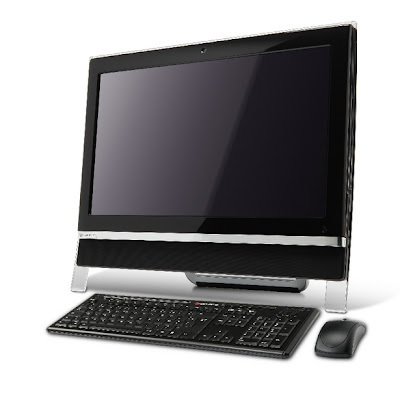 The X430 features AMD's second generation ultra-thin platform that uses the AMD Athlon Neo X2 dual-core processor which has a power consumption of only 18W which is 60% reduction when compared with traditional ones. 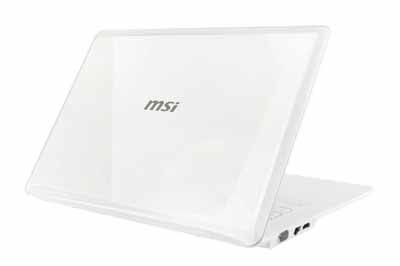 MSI X-Slim X430 notebook comes with 14-inch HD LCD display with resolution of 1366×768 pixels (16:9).The new Notebok from MSI also features AMD Athlon Neo X2 processor, ATI Mobility Radeon HD 3200 graphics,320GB or 500GB SATA hard drive, 2GB of DDR2 SO-DIMM,1.3 M Webcam, Wi-Fi 802.11 b/g/n, a 2-in-1 card reader with support SD/SDHC/MMC..The notebook also comes with an option for an external DVD writer/blu-ray and Bluetooth. MSI X-Slim X430 notebook truely an ultra slim notebook with Dimensions and weighs just 1.5kg. The notebook also has ECO Engine technology which enhances battery life considerably.The X430 can use 5 unique power management modes (Gaming, Movie, Presentation, Document, or Turbo Battery) to extend battery life.The price and release of the new MSI X-Slim X430 notebook is yet to be revealed. Tags:-MSI X-Slim X430 notebook , MSI X-Slim X430 notebook features, MSI X-Slim X430 notebook specs, MSI X-Slim X430 notebook specifications, MSI X-Slim X430 notebook price, MSI X-Slim X430 notebook launch date, MSI X-Slim X430 notebook full specs, MSI X-Slim X430 notebook release date, MSI, MSI notbooks, MSI laptops, MSI ultra slim notebooks, MSI low power notebooks, MSI recent laptops, MSI recent laptop features. Recently iRiver launched the all New T60SE music player in Russian Market.The music player is housed with 1-inch color screen,FM tuner with recording capability either in WMA format and voice recorder.The new iRiver T60SE is much an improved versiom of iRiver T60. This Stylish small portable music player weigh just 24g and has dimensions 5.3×27.2×22 mm .The power source of iRiver T60SE is one AAA size batteries provides a battery life up to 40 hours.The New iRiver T60SE will be available from next month and comes in five versions. Tags: iRiver T60SE player , iRiver T60SE player features, iRiver T60SE player colors , iRiver T60SE player available versions, iRiver T60SE player available memory, iRiver T60SE player price, iRiver T60SE player price details. Hewlett-Packard (HP) and AT&T US mobile operator recently announced their new smartphone, The all New HP iPAQ Glisten which is well suitable for modern mobile professionals. The New HP iPAQ Glisten 3G phone comes with a lot of features and stylish design.iPAQ Glisten is runs on Windows Mobile 6.5 Professional. HP iPAQ Glisten Smartphone is housed with 2.5-inch touchscreen AMOLED display with a resolution of 240×320 pixels, QWERTY keyboard, 3.1 megapixel camera, 256MB of integrated memory, a slot for microSD card, 3.5mm audio jack, GPS receiver with A-GPS, as well as Wi-Fi 802.11b/g and Bluetooth 2.0 + EDR.The 3G phone is built in monoblock foam factor.AT&T HP iPAQ Glisten phone well supports networks GSM/GPRS/EDGE 850/900/1800/1900 MHz and UMTS/HSDPA 850/1900/2100 MHz. 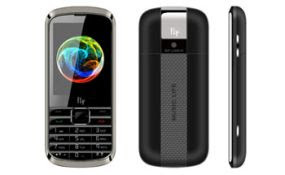 Tags:-HP ,HP new handset, HP new launch hand set, HP new smartphones, HP windows mobiles, HP 3G phone, HP touch phones, HP touch screen phones,HP iPAQ Glisten features, HP iPAQ Glisten smart phone price, HP iPAQ Glisten smart phone price details, HP iPAQ Glisten smart phone specs, HP iPAQ Glisten smartphone specifications, HP iPAQ Glisten smartphone launch details, HP iPAQ Glisten smart phone release date, HP iPAQ Glisten smartphone + 3G+ touchscreen+ windows+ features. Samsung recently introduced their latest 3G phone,Samsung C5130 in Indian market.The handset is expected to be available in European market soon.The new slider phone from samsung is priced at Rs. 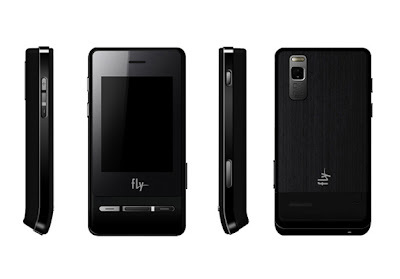 6,200 in India.The new Samsung mobile looks much similar to their Other entry-level 3G phones by the Korean Maker. Samsung C5130 is housed with 2-inch TFT display with a resolution of 176×220 pixels,1.3-megapixel camera, slot for microSD memory card up to 8 GB, music player, FM tuner, and Bluetooth 2.0.The handset is made in slider form factor.The C5130 from Samsung supports GSM/GPRS/EDGE 850/900/1800/1900 MHz and UMTS.The battery has a talk time life of about thirteen hours. The Samsung C5130 phone price : Rs. 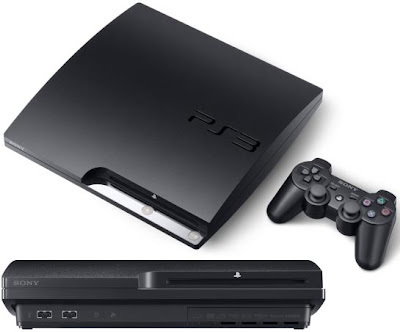 6,200 (about $135). Tags:-Samsung C5130 , Samsung C5130 features, Samsung C5130 india launch, Samsung C5130 india release, Samsung C5130 specs, Samsung C5130 specification, Samsung C5130 price, Samsung C5130 india price, Samsung C5130 preview, Samsung C5130 entry level phone, Samsung C5130 india price details, Samsung C5130 european launch, Samsung C5130 european price, Samsung C5130 details, samsung new phone, Samsung C5130 handset features. Lenovo recently introduced the latest IdeaPad Open-box Y510 notebook PC with excellent features.The Lenovo IdeaPad Open-Box Y510 comes with a 15.4" Widescreen with a resolution of 1280x800.The Y510 Notebook also includes 1.3MP web cam with VeriFace face recognition software to let you use your face for a password. Lenovo IdeaPad Open-Box Y510 comes with a lot of features that make it excellent for both professional as well as personal needs.The new IdeaPad Y510 Notebook from Lenovo also comes with Dolby Home Theater audio system with 5 speakers including a subwoofer. 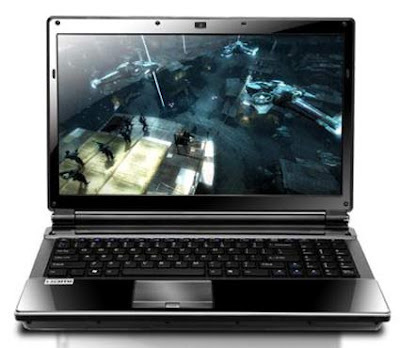 Lenovo IdeaPad Y510 Notebook is housed with Intel Pentium dual-core T2390 1.86GHz processor with 1MB CPU L2 Cache ,3GB DDR2 RAM, 160GB Hard Disk,Intel GMA X3100 Graphics card,Dual Layer DVD Burner Optical Drive. The Notebook also contains Fast Ethernet port,802.11b/g wireless connection,Express Card slot,3 USB port,6-in-1 reader(SD/SD pro, MS/MS pro, MMC, xD).The notebook also comes with a FireWire port which helps you to move photos and videos directly from the camera. 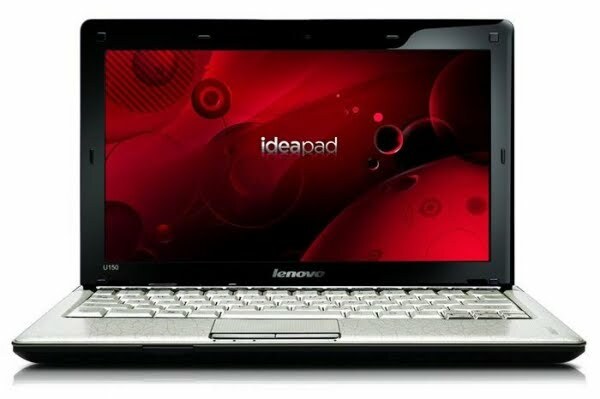 The Lenovo IdeaPad Open-Box Y510 Notebook comes with Windows Vista Home Premium operating system and includes a 6-cell lithium ion Battery with 4 hours backup.The laptop weighs just 6.4 lbs and has dimensions 14.30" x 10.30" x 1.14-1.42".The Lenovo IdeaPad Open-Box Y510 Notebook comes with an affordable price of $400. Dimensions : 14.30" x 10.30" x 1.14-1.42"
Tags:-Lenovo IdeaPad notebook, Lenovo IdeaPad new laptop,Lenovo IdeaPad Y510 Notebook features, Lenovo IdeaPad Y510 Notebook, Lenovo IdeaPad Y510 Notebook specs, Lenovo IdeaPad Y510 Notebook specifications , Lenovo IdeaPad Y510 Notebook details, Lenovo IdeaPad Y510 Notebook launch, Lenovo IdeaPad Y510 Notebook price, Lenovo IdeaPad Y510 Notebook price details,Lenovo IdeaPad Y510 Notebook os, Lenovo IdeaPad Y510 Notebook features added, Lenovo IdeaPad Y510 Notebook price , The Lenovo IdeaPad Open-Box Y510 Notebook , The Lenovo IdeaPad Open-Box Y510 Notebook features, The Lenovo IdeaPad Open-Box Y510 Notebook price , lenovo new ideapad, Lenovo new notebook. Lenovo released its all new ultraportable Laptop, Lenovo IdeaPad U150 in US market with a price tag of $649.Lenovo IdeaPad U150 comes with 11.6-inch 1,366 x 768 LED-backlit display , you could choose either 1.3GHz Pentium dual-core or Core 2 Duo processors,3GB or 4GB of RAM according to your wish, 250GB or 320GB Harddisk for mass storage. Lenovo IdeaPad U150 other featues includes WiFi b/g,Bluetooth 2.1+EDR together with gigabit ethernet, two USB 2.0, one USB/eSATA combo, both VGA and HDMI, and a 4-in-1 memory card reader.The New Lenovo IdeaPad U150 comes with Windows 7 Home Premium Operating system.Equipped with 6-cell battery capable of providing a back-up up to 7hrs runtime. The Lenovo IdeaPad U150 has dimensions 11.4 x 7.5 x 0.5-1.35 inches and weighs only 1.35 kg.The new Lenovo IdeaPad U150 is available in textured red or black colors.The whole thing comes with a price tag starting from $550 onwards. 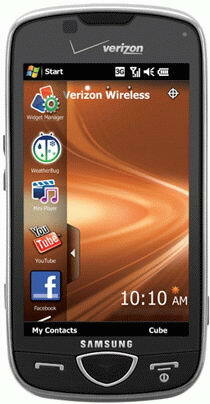 Samsung and Verizon Wireless,United States mobile operator recenly announced the availability of Samsung SCH-i920. The new handset from samsung will be available from December 2nd through Verizon’s official website as also Verizon Wireless Communications Stores. Samsung Omnia II is housed with 3.7-inch touchscreen AMOLED display with a resolution of 480×800 pixels,virtual QWERTY keyboard with Swype technology, enables the user to input text faster and easier.The new smartphone from Samsung also features a 16GB of internal memory, slot for memory card with capacity up to 32GB, GPS receiver, 8.1-megapixel camera, 802.11b/g Wi-Fi connectivity, Bluetooth version 2.0, and microUSB port. Samsung SCH-i920 Omnia II runs on Windows Mobile 6.5 with Samsung’s unique TouchWiz 2.0 user interface.The all new Omnia II also supports Verizon V CAST services, allows user to listen to music through the online service, Rhapsody and also provides one-touch access to social networking applications like Facebook,MySpace and YouTube. Ostendo recently introduced their all new curved super-wide display monitor called Ostendo CRVD.The wide screen monitor has a diagonal of 43-inch and a resolution of 2880×900 pixel and has a super-wide format (32:10) curved screen.The new Ostendo CRVD was first introduced at 2009 Macworld conference. 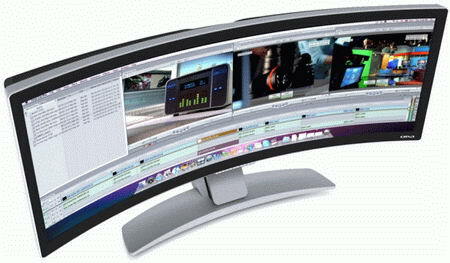 Ostendo CRVD curved super-wide display Retail price : $6,499. Tags:-Ostendo CRVD , Ostendo CRVD features, Ostendo CRVD price, Ostendo CRVD price details, Ostendo CRVD images, Ostendo CRVD specs, Ostendo CRVD specifications, super-wide display from ostendo, ostento wide display screen features, super-wide display , super-wide display available ,super-wide display screens, ultr-wide super display from ostendo, Ostendo wide display. Creative recently announced the introduction of third generation compact digital camera, Vado HD which could record video in 720p HD resolution. Creative also said that the upgraded version fix many of the problems that previous Vado HD faced.The new Vado HD has an option for plug-in external microphone provides a solution for the less-than-stellar audio recording capabilities of the Vado HD. Apart from the introduction of connection capability for a headphone and a microphone port,The innovating features of the new Vado HD compact digital camera has the ability to start shooting automatically when the Camcorder detects motion in its frame.The new Vado HD Camcorder is lighter with weight just 93g and has dimensions 98.8 x 57.6 x 15.8mm which make it some what smaller a little bit than the previous one. 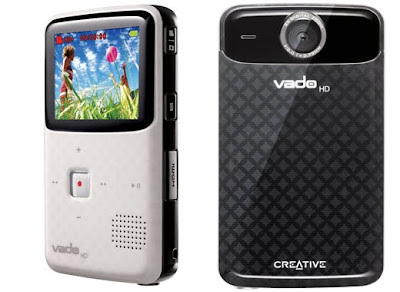 New Creative Vado HD Camcorder features 2-inch display with support for displaying 16m colors and 640×240 pixels,boasts with CMOS matrix, wide-angle lens with a 2x digital zoom, 4GB internal memory (enough to store up to 120 minutes of video),motion-detection mode (records video once motion is detected),HDMI and USB connectivity.The third generation Vado HD Camcorder has the capability to capture JPEG images at 1,280 x 720-pixel resolution and has a one click uploading option to post videos directly to Facebook, YouTube, Photobucket, Box.net and KinKast. You could be able to shoot continuously up to two hours with the New Camcoder.Creative 3G Vado HD will be available in 4GB storage capacity.The customer could now preorder their Vado HD camera through www.amazon.com and www.us.creative.com.The Creative Vado HD Camcorder comes with a price tag of $179.99. Tags:-Creative Vado HD Camcorder , Creative Vado HD Camcorder features,Creative Vado HD Camcorder specs, Creative Vado HD Camcorder specifications, Creative Vado HD Camcorder images, Creative Vado HD Camcorder details, Creative Vado HD Camcorder availability, Creative Vado HD Camcorder price, Creative Vado HD Camcorder preorder availability, Creative Vado HD Camcorder detailed review, Creative Vado HD Camcorder preview,Creative new camcoder, Creative motion ability camera, Creative new introductions, Creative 3G Vado HD Camcorder,Creative 3G Vado HD Camcorder features. 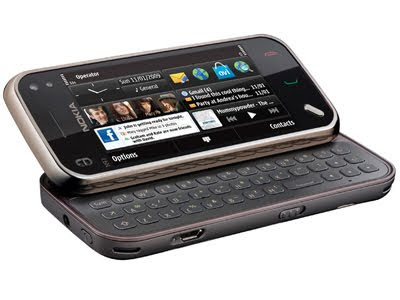 Recent news from Nokia reveals that their all New Nokia X6 phone will hit market before the end of this week. 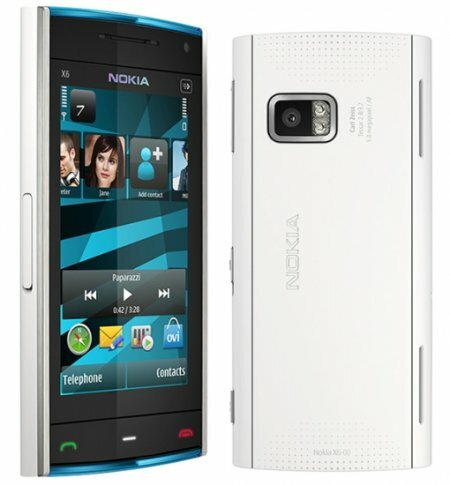 At First the new Phone from Nokia will be released in UK and Finland and will be available in other markets sooner. Nokia X6 phone is actually a music device as its offers unlimited access to catalog of Nokia Music Store.With monoblock form factor the New Nokia X6 runs on S60 5th Edition platform.The handset comes with a 3.2-inch touchscreen. Other features of the Nokia X6 phone includes 32GB internal memory which can be further expanded with microSD card,5 megapixel camera with Carl Zeiss lens, Wi-Fi, Bluetooth, GPS, and TV output. Nokia X6 will be available before the end of this week in UK and Finland with a price tag of £449 (about $744). Dell recently introduced a new netbook called Dell Vostro A90 netbook with a price tag for just $184.The new ultraportable mobile PC from Dell comes with a 8.9-inch wide screen WSVGA TL with a supported Display resolution of 1024×600 pixel,1.6GHz Intel Atom processor N270 with the property of low power consumption,1GB DDR2 533MHz SDRAM, an Intel Graphics Media Accelerator (GMA) 950 GPU. Dell Vostro A90 netbook comes with Ubuntu Linux 8.0.4 as operating system.An important feature of this netbook is the use of solid state drive as storage, not use hard drive.The netbook comes with a standard 8GB Solid State Drive but you could order with a 16GB SSD with an aditional payment of $50.Other features of the all new Dell Vostro A90 netbook includes Wi-Fi 802.11g and 0.3 megapixel camera with an option for install Bluetooth.The price of the laptop starts with $184. Nokia unveiled 3G slider phone Nokia 7230 with compact slide design and various excellent features.The new Handset from Nokia Available in various fresh colors, with great imaging features and quick access to popular social networking communities. The Nokia 7320 is housed with a lot of features like large 2.4-inch TFT display with a resolution of 320×240 pixels, Excellent music player, FM radio, 3.2 megapixel camera,Fast 3G connectivity, Bluetooth, and a slot for microSD (bundled with 2GB).Nokia 7230 also enables you to have quick access to email, instant messaging and social networks.The handset comes with a 4.0 series platform. Nokia 7320 phone is supports networks GSM/GPRS/EDGE 850/900/1800/1900 MHz and UMTS/HSDPA 900/1900/2100 or 850/1900/2100 MHz (depending on the region).The new Nokia 7320 phone weighs just 100g and has dimensions 98×48x14.75 mm. 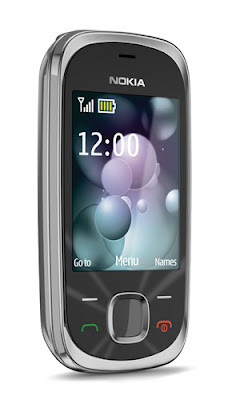 Nokia 7320 Smart 3G phone is expected to be available by the first quarter of 2010 and comes with a price tag of 100 EURO. 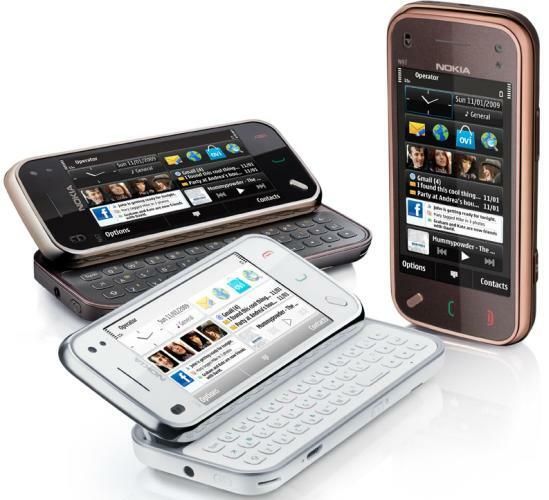 Nokia introduced a new enriched smartphone with slider form factor called Nokia 6700 Slide. Its compact size, modern design and aluminum finish feels great in the hand, and fits perfectly even in the smallest pocket or bag. 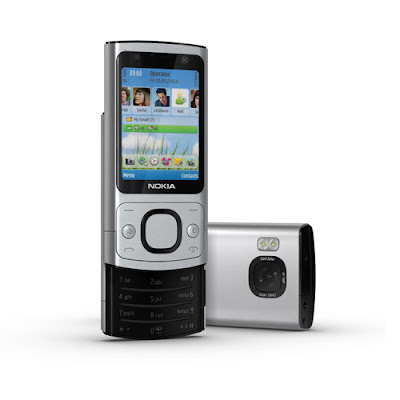 The new Nokia 6700 Slide comes with features like 2.2-inch TFT display with a resolution of 320×240 pixels, 5 megapixel camera with autofocus, dual LED flash, Carl Zeiss lens, and video recording (640×480 pixels, 15fps),High speed 3G connectivity, Bluetooth version 2.1 + EDR, microUSB port, 45 MB of integrated memory, and slot for a microSD with capacity up to 16GB. 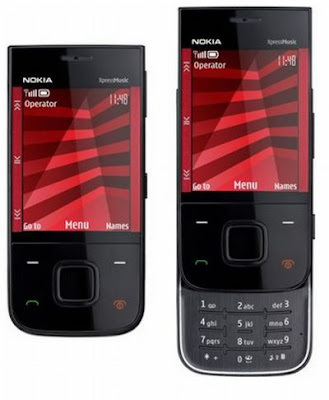 Nokia 6700 Slide supports networks includes GSM/GPRS/EDGE 850/900/1800/1900 MHz and UMTS/HSDPA/HSUPA 900/1900/2100 or 850/1900/2100 MHz (depending on the region distribution).The handset weighs just 110g and has dimensions 95.2×46x15.9 mm.The New Nokia 6700 Slide is housed with a 860 mAh battery which is capable of providing up to four hours of talk time, up to 29 hours of playback music, and up to 300 hours in standby mode.Nokia 6700 Slide phone is running on Symbian operating system (S60 platform). 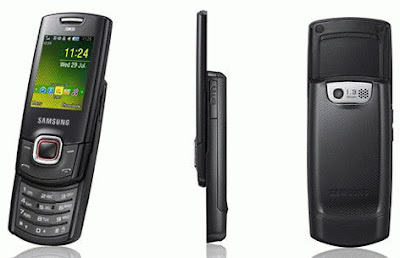 Nokia 6700 Slide SmartPhone is expected to be available by the first quarter of 2010 and comes with a price tag of 160 EURO. Tags:-Nokia 6700 Slide, Nokia 6700 Slide features, Nokia 6700 Slide details, Nokia 6700 Slide camera, Nokia 6700 Slide specs, Nokia 6700 Slide specifications, Nokia 6700 Slide preview, Nokia 6700 Slide images, Nokia 6700 Slide colors, Nokia 6700 Slide available colors, Nokia 6700 Slide os, Nokia 6700 Slide price, Nokia 6700 Slide price details, Nokia 6700 Slide memory, Nokia 6700 Slide expandable memory. 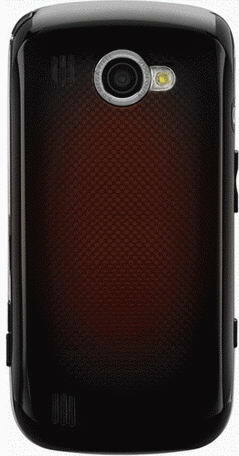 Motorola officially introduced The all New Motorola i410 which is designed to work in in iDEN (800/900 MHz) band.The new Motorola i410 phone is housed with 1.79-inch TFT screen with a resolution of 128×160 pixels, an external 0.97-inch screen with resolution of 96×32 pixels, Bluetooth, microUSB, 2.5mm audio jack, GPS receiver, and Openwave 7.x (WAP 2.0) web browser. 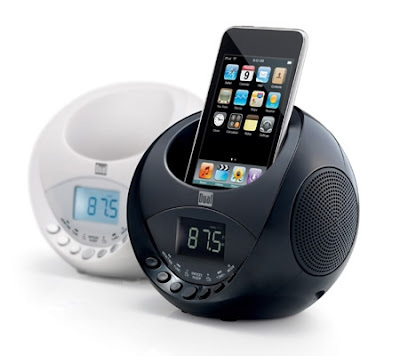 It is supported ringtones in formats MP3, Midi, AU and WAV, as well as the Push-to-Talk technology.The hand set is made in the clamshell form factor. The New Motorola i410 iDEN phone weighs just 128g and has a dimension of 98×48x19.6 mm. 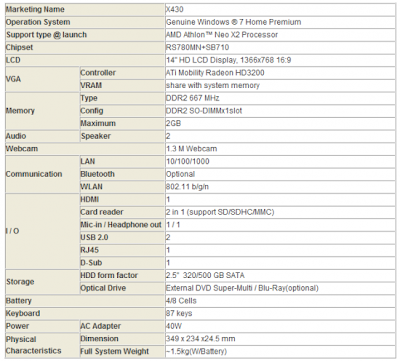 The price details of the new Motorola i410 is yet to revealed. 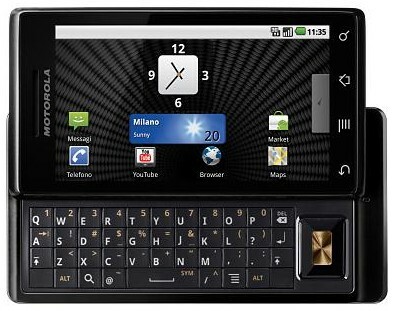 Tags:-Motorola i410, Motorola i410 features, Motorola i410 price, Motorola i410 specifications, Motorola i410 details,Motorola i410 iDEN phone, Motorola i410 iDEN phone details, Motorola i410 iDEN phone review, Motorola i410 iDEN phone features, Motorola i410 iDEN phone specs, Motorola i410 iDEN phone price. Dell released a Limited Edition Netbook which was designed by Deanne Cheuk, a famous American designer. 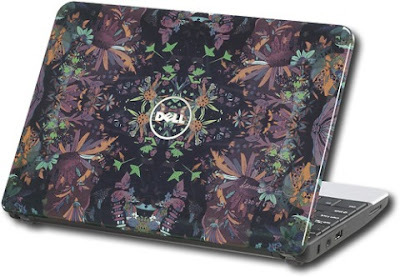 The Top cover of the Dell Inspiron Mini Netbook Limited Edition is decorated with pattern of flowers, executed in dark colors.The Netbook is introduced with a view to attract female customers. Dell Inspiron Mini Netbook Limited Edition is housed with an Intel Atom Z530 processor with a clock frequency of 1.6GHz, integrated GMA 500 GPU, 1GB RAM, up to 160GB hard drive and a 10-inch display with resolution of 1024×600 pixels.Other featues includes webcam, HDMI,Wi-Fi 802.11 b/g, card reader and comes with Windows 7 Starter Edition OS. 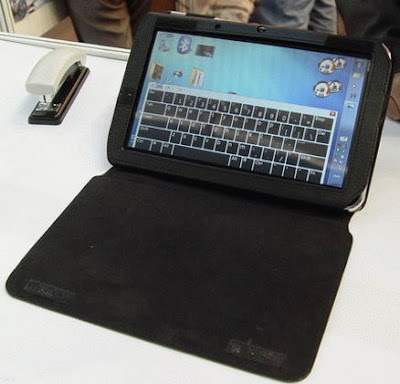 A limited nombers of just 5250 units are made available for the customers and the Dell Inspiron Mini Netbook Deanne Cheuk Limited Edition comes with a price tag of $379. Limited Edition Deanne Cheuk Dell Inspiron Mini Netbook Features at a glance. 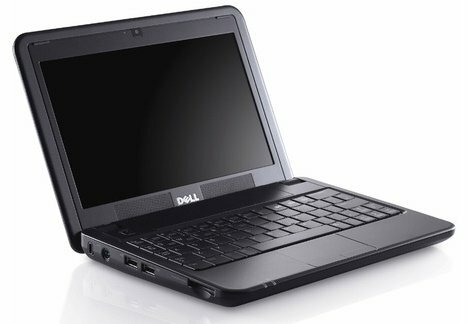 Tags:-Dell, Dell netbooks, Dell laptops,Dell Inspiron Mini Netbook features, Dell Inspiron Mini Netbook specifications, Dell Inspiron Mini Netbook specs, Dell Inspiron Mini Netbook price, Dell Inspiron Mini Netbook price details,Dell Inspiron Mini Netbook Deanne Cheuk Limited Edition, Dell Inspiron Mini Netbook Deanne Cheuk Limited Edition features, Dell Inspiron Mini Netbook Deanne Cheuk Limited Edition details, Dell Inspiron Mini Netbook Deanne Cheuk Limited Edition price, Dell Inspiron Mini Netbook Deanne Cheuk Limited Edition detailed price. European mobile Handset maker Fly recently launched two new dual SIM low-priced touchscreen handsets in Indian market.The new handsets MC 160 and E106 are much low price touch enabled handsets available in market today.These new handsets from Fly also came with dual sim capability.The new Fly handsets MC 160 and E106 are priced Rs 6,000 and Rs 5,300 respectively. The E106 model housed with a 2.4 inch QVCA screen, 2 mega pixel camera, supports 262K colours, FM radio with recording, Bluetooth, GPRS, battery talk time of 4 hours and standby time of 240 hours, A2DP, live MSN and motion sensors. 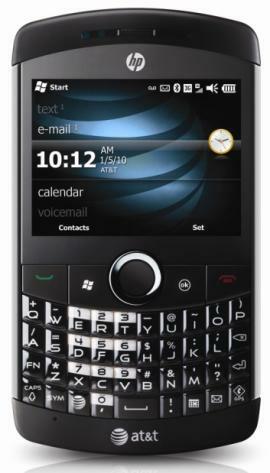 The phone also has a basic 2 megapixel camera that should capture decent images. The phone book can support 1,000 contacts. The MC 160 features a QVCA touchscreen capable of displaying 262k colours, 3.2 mega pixel camera, 89 MB internal memory with option to extend it through microSD cards, EDGE,GPRS support, Bluetooth, video recording, self-help feature, A2DP (Advanced Audio Distribution Protocol), card slot, mobile tracker with remote control capabilities, privacy protection feature, and a phonebook capable of storing up to 2,000 contacts.The phone is also housed with music features and it has a Yamaha chipset to enhance music playback quality. Dell recently add multitouch capability to their Dell Studio 17 Touch.The new updated Dell Studio 17 Touch is housed with a a 17.3-inch display with supports a maximum resolution up to 1920×1080 pixels. The features of the new Dell Studio 17 Touch includes Intel Core i7 820QM quad core processor with operating at a clock frequency of 1.73GHz, up to 8GB RAM, dual hard drives for a total capacity of 1TB, an ATI Mobility Radeon HD 4650 GPU with 1GB memory.It also includes Wi-Fi, 8-in-1 card reader, 2 megapixel webcam, Bluetooth, and Blu-ray.Ports include several USB 2.0, a USB/eSATA combo, HDMI and DisplayPort, along with VGA and FireWire. 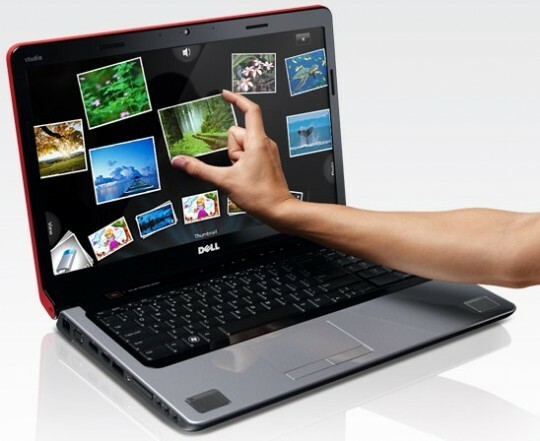 The all New Dell Studio 17 Touch weighs 3.2kg and has dimensions 414×280x28-39 mm.The New upgraded version comes with the all new Windows 7 Home Premium OS.The price of Dell Studio 17 Touch starts with $900. 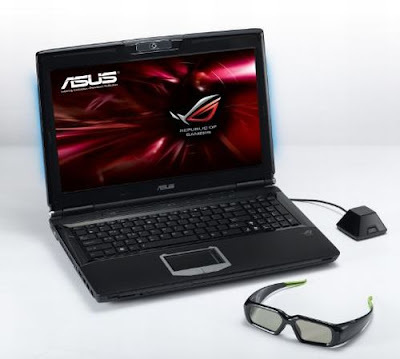 Asus recently launches its all New 15.6 -inch Asus G51J 3D Vision-Enabled Gaming Laptop with a variety of excellent features.The company claims the new laptop as the world’s first laptop with NVIDIA 3D Vision and specially designed 3D glasses,that provides gamers a truly immensive 3D gaming and multimedia experience. The G51J 3D Vision-Enabled Gaming Laptop also features Bluetooth, 2mega pixel camera and is light weight so that one could easily take it anywhere he wishes. The new ASUS G51J 3D notebook is expected to be available at Amazon.com, Newegg.com and other authorized resellers with a price tag of around $1,700. 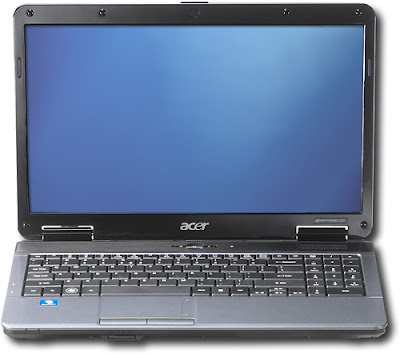 Acer Aspire recently introduced the latest Athlon 64 1.6GHz 16-inch Widescreen with a lot of excellent features and amazing quality. 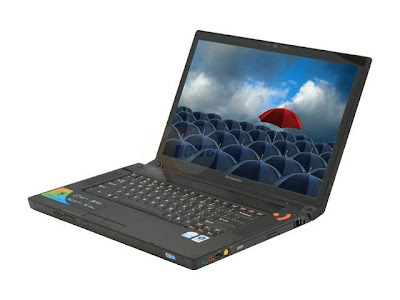 The lightweight Athlon 64 1.6GHz note book is excellent for day to day professional and personal use.The most intresting features of the Athlon 64 1.6GHz is its 16-inch CineCrystal LCD high-definition widescreen display functionality. It has including Built-in 10/100 fast Ethernet LAN functionality.The new laptop from acer also supports Memory Stick PRO, Secure Digital, xD-Picture Card formats, MultiMediaCard and Memory Stick. Acer Aspire Latest Athlon 64 1.6GHz features an AMD Athlon 64 TF-20 1.6GHz single-core processor, 15.6" 1366x768 widescreen LCD, 3GB RAM, 160GB 5400 rpm Serial ATA hard drive, dual layer DVD burner, 802.11n wireless, 5-in-1 media card reader, 6-cell battery, and Windows 7 Home Premium 64-bit. Nokia on of the Giant handset maker introduced a lot of handsets in Indian market.Nokia mobile phones are the best seller in India with their good build quality and every feature that you want in a mobile phone.Here are the price details of the available mobile handsets in Indian market from Nokia. Nokia Mobile Phones Price list in India. Here Mobile Phone are listed in decreasing order of their price. Tags: Mobile phone price list in India, Nokia Mobile phone price list in India, Nokia Mobile phone price list, Nokia Mobile price list, Nokia phones price list, Nokia price list. ASUS recently launched The New ASUS UX30 Notebook in Indian market.The notebook marks the entry of ASUS in the Ultra Thin and Light Category notebooks in India.The note book has a multi-touch touchpad and ASUS IceCool design provides a palm-rest that has a lower-than-average temperature for prolonged computing hours in maximum comfort. 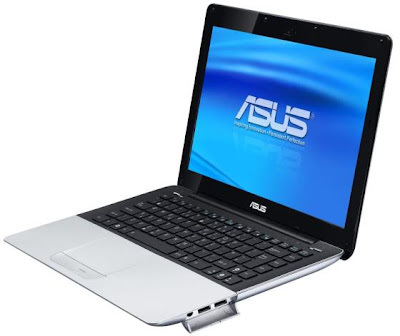 The New ASUS UX30 Notebook features Intel ULV processors and Core 2 Duo processors and a 13.3-inch WXGA LCD display,Intel GMA 4500MHD.The U Series is housed with AI Light sensor technology, that could adjusts the brightness of the screen, as well as the backlighting of both the illuminated keyboard and interactive touchpad.The laptop is also provided with Express Gate that enables the user to access commonly used applications such as instant messaging clients and a multimedia manager, as well as the Internet in just 8 seconds. The ASUS UX30 notebook India price: Rs. 59,249/-. Transcend Information Inc. recently introduced new MP330 digital music player in India featuring good sound quality,compact size and simple design.The player supports variety of file formats including newer FLAC (Free Lossless Audio Codec) as well as MP3, WMA, WAV and even WMA-DRM10 protected music files.Transcend MP330 Digital Music Player has a better output quality due to its high high signal-to-noise ratio of about 90dB.The MP330 provides options for the user to choose from seven advanced equalizer effects hich includes special user-customizable option that allows music playback to be tailored to match specific music tastes and styles. About the design the MP330 has compact smooth shapes measures 83 x 25.5 x 11.5 mm and weighing 25g.The player is also provided with a removable sport clip that adds more fexibility.The Digital Music Player is also housed with extra bright easy-to-read OLED display can easily be viewed at any angle, even in broad daylight. It can also be used as a portable storrage device with the built-in USB connector. 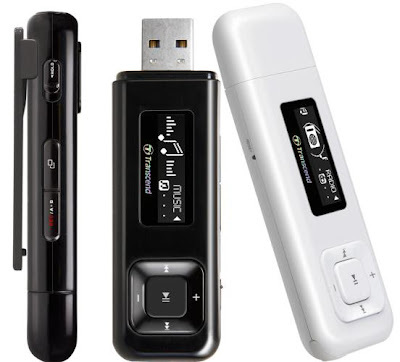 Other functions of the Transcend MP330 Digital Music Player includes A-B repeat, variable track playback speeds, advanced voice recorder,FM radio and sing-along synchronized lyrics display with support for 14 different languages. Transcend MP330 Digital Music Player currently available in three capacities with two-year warranty. 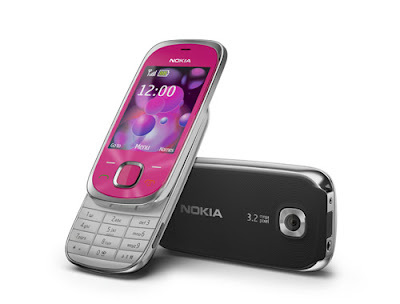 Nokia introduced the latest TV Edition phone, the all new Nokia 5330 with a lot of excellent features and comes in a stylish innovative design.The Nokia 5330 has DVB-H technology of smartphone and comes with a 2.4 inch QVGA screen with a resolution of 320 x 240. 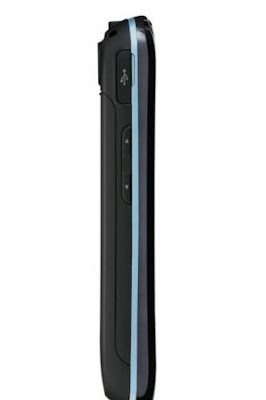 The new Nokia TV Edition 5330 is housed with 3.2 megapixel camera which enables you to take and store beautiful quality pictures.The phone has a SDRAM Memory of 128 MB and has user storage area of about 70 MB.The 5300 handset is provided with a micro SD slot which can support a maximum memory up to 16GB. The Nokia 5330 Mobile TV Edition phone supports EGSM 850/900/1800/1900 EGSM and WCDMA 850/1900/2100. Main features include Series 40 6th Edition developer platform, DVB-H, 3.2 Megapixel camera with flash, WebKit Open Source Browser, FM RDS Radio, Flash Lite 3.0, Bluetooth 2.1 +EDR and MIDP Java 2.1 with additional Java APIs. The 5330 Mobile TV Edition also includes softwares that could connect the device to Ovi Contacts, Facebook, MySpace and YouTube. The handset is also compatible with Nokia's Comes With Music all-you-can-eat music subscription service. Currently the new Nokia 5330 will be available in Europe with a price tag of 155 Euros equals $230. 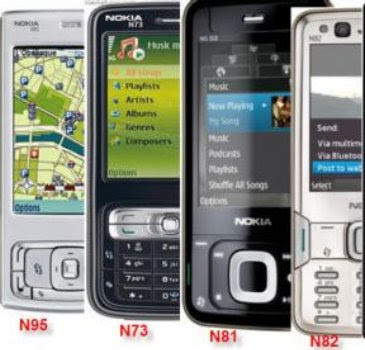 Tags:-Nokia, Nokia new launches,Nokia mobiles, nokia hand set,nokia europe, nokia india,Nokia 5330, Nokia 5330 features , Nokia 5330 specs, Nokia 5330 specifications, Nokia 5330 launch details, Nokia 5330 memory , Nokia 5330 memory support, Nokia 5330 camera, Nokia 5330 price, Nokia 5330 price details, Nokia 5330 india, Nokia 5330 price in europe, Nokia 5330 screen , Nokia 5330 launch details, Nokia 5330 images, Nokia TV Edition 5330 colors, Nokia TV Edition 5330 available colors, Nokia TV Edition 5330. 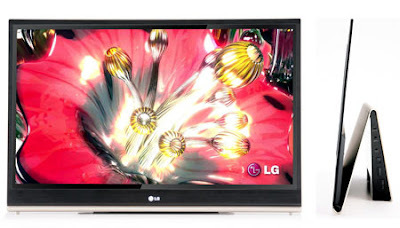 LG recently introduced the latest 50″ 600Hz 720p Widescreen Plasma HD Television with high picture quality and sound performance.The new plasma HD Television from LG comes with a variety of features that includes three HDMI inputs, other video inputs, 2,000,000:1 dynamic contrast ratio, a native resolution of 1365×768(720p), VGA, 600Hz sub-field drive. 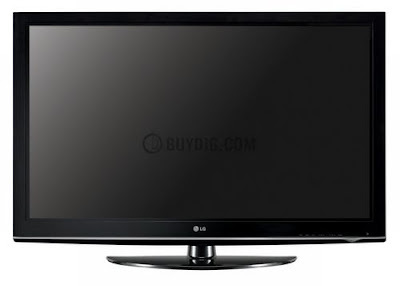 LG 50″ 600Hz 720p Widescreen Plasma HD Television offers better widescreen display and sound capacity which better suitable for homes.The new LG plasma TV comes with a price tag of $699. Nokia unveils the younger version of the N97 , the Nokia N97 mini in Indian market last day.The Nokia N97 mini is a smaller mobile computer with stylish stainless steel cues, featuring a tilting 3.2" touch display, QWERTY keyboard and fully customizable home screen.The user can also personalize the home screen of the new Nokia N97 mini according to their taste,with different applications and services available from 0vi store. Online registration for booking of Nokia N97 mini opens on November 23, 2009 where the customer need to log on to www.getN97mini.com and fill up the provided form.The shipping of the N97 mini will start by the end of November.Nokia N97 mini will also features Lifecasting with Ovi which enables customer to publish their location and status updates directly to their Facebook account from the home screen of a mobile device. 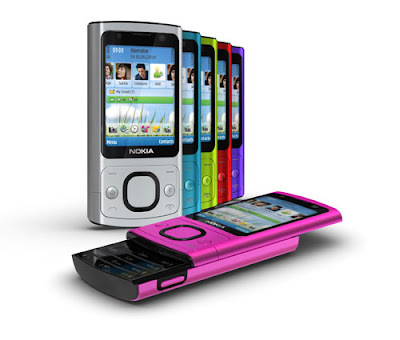 You could also win Nokia N97 mini by participating a context online which starts on November 24. All you need is to visit www.ndtvgadgets.com, open an Ovi Store id, perform a task on the Ovi Store and answer a few questions on the N97 mini.Two winners will take home an N97 mini free every week. The new Nokia N97 Mini comes with a price tag of Rs. 30,939/-. Giant Handset maker Nokia recenltly release the introduction of five new affordable phones for the customers.The handsets included Nokia 1280, Nokia 1616, Nokia 1800, Nokia 2220 slide and the Nokia 2690.All the mobiles has a stylish look and a better battery life. 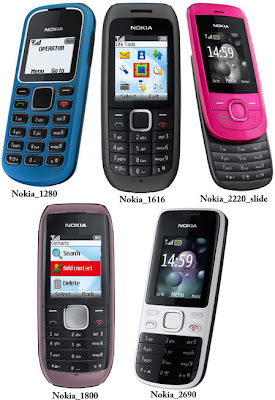 Nokia 1280, Nokia 1616, Nokia 1800 priced EUR 20(~$25), EUR 24(~$35) and EUR 26(~$38) respectively has features includes FM radio, prepaid tracker, flashlight, anti-scratch cover and dust-resistant keymat.All these models has battery life of upto 22 days of standby. Nokia 2220 slide and the Nokia 2690 priced at EUR 45(~$66) and EUR 54(~$80) (before taxes and subsidies)also featured FM radio, VGA camera, GPRS and MMS support, phone books for up to 1,000 contacts, and Bluetooth and both these phones supports email through Ovi Mail.Nokia 2220 slide has a battery backup of up to 20 days(Standby time) and Nokia 2690 with 13 days(Standby time).The phones will be available by the end of this year or by first half of next year. LG recently launched latest 15-inch OLED TV with a stylish appearance and design.The big screen flat OLED TV comes with high quality sound performance and is the best in the market.The new flat TV enables the whole family to view films and all on big screen with high quality.The monitor frame is just 1.7 millimeters. Tags:-LG , LG tvs,LG new flat tv, LG 15-inch OLED TV features, LG 15-inch OLED TV specs, LG 15-inch OLED TV specifications, LG 15-inch OLED TV price, LG 15-inch OLED TV price details, LG 15-inch OLED TV introduction, LG 15-inch OLED TV latest features,LG 15-inch OLED TV. 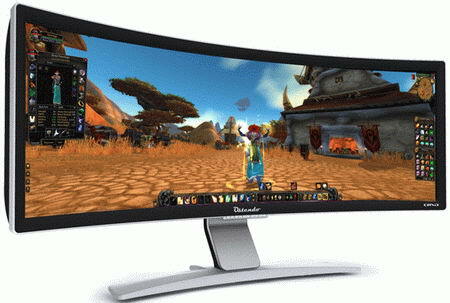 Packard Bell recently introduced oneTwo series of all-in-one touchscreen desktop PCs in market.The desktop PCs runs in Windows 7 OS and comes with a built in digital TV tuner.The touchscreen desktop PC from Packard Bell comes in two varients 20-inch 1600 x 900 resolution and 23-inch 1920 x 1080 resolution display. The desktop features Intel Core 2 Quad processor, an e-sata port, a slot in ODD, and 5.1-channel surround sound via the integrated 5 Watt stereo speaker system and an optional Blu-ray drive, six USB ports, a 5-in-1 card reader, an integrated webcam,raphics options comes in with either integrated graphics from Intel or discrete graphics, both supporting Microsoft DirectX10. Packard Bell oneTwo series desktop PCs price:£599 and £899. Tags:-oneTwo series multi-touch desktop PC, oneTwo series multi-touch desktop PC features, oneTwo series multi-touch desktop PC specs, oneTwo series multi-touch desktop PC price details,Packard Bell oneTwo series desktop PC features, Packard Bell oneTwo series desktop PC price,Packard Bell new desktop pcs, Packard Bell multitouch pc, Packard Bell new multitouch pc. One of the leading gaming systems manufacturers in the world, iBUYpower recently announced that they are going to launch Their Frist i7 Gaming Notebook shortly. 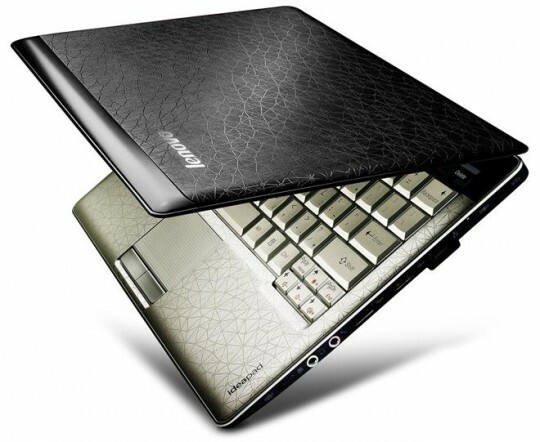 The notebook named Battalion 101 W870CU comes with excellent features and stylish design. iBUYPOWER Battalion 101 W870CU is housed with a lot of features includes 17.3” Full HD 1920x1080 widescreen LCD with high definition resolution, three Core i7 CPUs includes 2.00GHz 920XM Mobile Processor Extreme,RAM memory of up to 8GB DDR3,NVIDIA GTX280 graphics card which is the highest performing laptop GPU available now,Blu-ray drive. iBUYPOWER Battalion 101 W870CU price starting at $2505. 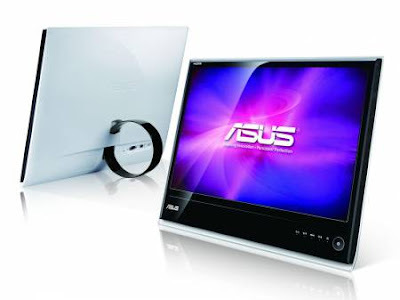 Asus recently unveiled new series of ultra-slim LCD monitors, Designo MS series in market.The new models includes MS246H/ MS236H/ MS202D.The new LCD monitor comes with spherical ring stand features with latest Ergo-Fit Technology that enables the users to adjust the monitor’s tilt angle with one finger. Sony VAIO recently introduced he New CW1S1E Notebook that comes with excellent features in market.The new Notebook from Sony VAIO comes with a 14-inch screen with 1366 x 768 pixels resolutions.This is an LED backlighting laptop the images are crisp it gives vivid and bright colors.The laptop comes with stylish design in pink color.The keys runs smoothly you can any type of word easily type on this notebook and the mouse buttons are huge and contented. Sony VAIO CW1S1E Notebook features 2.3GHz Intel Core 2 Duo P7450 processor, 4096MB of DDR3 memory,3 USB ports two on left and one on right, Nvidia GeForce GT 230M graphics card,802.11n Wi-Fi, Gigabit Ethernet.The New Sony VAIO CW1S1E Notebook weighs just 2.3 kg and comes with a price tag of £659.89. 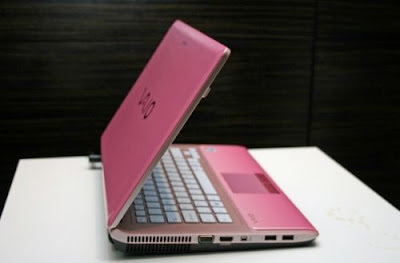 Sony VAIO CW1S1E Notebook features, Sony VAIO CW1S1E Notebook price, Sony VAIO CW1S1E Notebook specs, Sony VAIO CW1S1E Notebook specifications, Sony VAIO CW1S1E Notebook reviews, Sony VAIO CW1S1E Notebook images, Sony VAIO CW1S1E Notebook price details. Beatle recently bring out Limited edition USB stick in collaboration with EMI Music.The USB stick comes in 16 GB memory and have 14 stereo titles that will be in LAC 44.1 Khz 24-bit format, plus MP3 tracks at 320 Kbps.Only 30,000 pieces of Beatle Limited edition USB stick will be available.The Limited edition USB stick comes with a price tag of $280. Tags:-Beatle ,Beatle Limited edition USB stick,Beatle USB stick, Beatle Limited edition USB stick price details, Beatle Limited edition USB stick features. LG on its way to introduced a new Smartphone with a lot of features named, New GW620 MiniAndroid Smartphone.The phone has a cool stylish external appearance with a lot of internal features.The new MiniAndroid Smartphone is housed with 262k TFT 3-inch multimedia touch screen and also includes social networking sites such as twitter and facebook.The New LG GW620 comes in silver, Black-blue and black colors.The handset has a dimension of 109 x 54.5 x 15.9 mm and weighs is 139 grams. 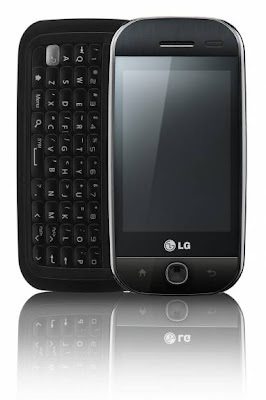 The LG GW620 MiniAndroid Smartphone comes with a QWERTY slide-out keyboard.Other features includes 320 x 480 pixels 3-inch, resistive touch screen display,it has 4GB/2GB internal memory,5-rows Qwerty Side Slider,802.11b/g,Bluetooth v2.1+EDR, USB 2.0 HS.The phone also features a 5.0 megapixel camera enables you to take quality photos and also an LED Flash is available. 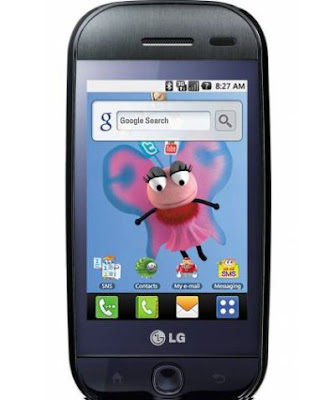 The GW620 is also housed with MP3 player, FM Radio, microSD card slot,3.5mm Headset jack.The LG GW620 MiniAndroid Smartphone powered by 1500 mAh baterry which provides 8.1 hours (GSM) / 7.7 hours (3G) Talk Time and 700 hours (GSM) / 625 hours (3G) Standby Time.The LG GW620 will be available by the end of this year. Tags:-LG, LG mobiles, LG new mobiles, LG new smart phone, LG new camera phone, LG smart phone with 5 mega pixel camera, LG slider phone, MiniAndroid Smartphone, LG MiniAndroid Smartphone, LG MiniAndroid Smartphone features, LG MiniAndroid Smartphone launch details, LG MiniAndroid Smartphone review, LG MiniAndroid Smartphone specs, LG MiniAndroid Smartphone images, LG MiniAndroid Smartphone specs, LG MiniAndroid Smartphone price, LG MiniAndroid Smartphone camera,LG GW620 MiniAndroid Smartphone, GW620 phone from LG, LG GW620.